Even though competitive video gaming has been around for almost as long as video games themselves, there is no way that the forefathers of video gaming could’ve predicted just how popular eSports would become. What started out as a niche pastime practised by hobbyists has grown into a multi-million dollar industry and gained mainstream popularity on global scale. The 2022 Asian Games will even feature eSports as a medal event, which could open the door for the possibility of eSports eventually being included in the Olympic Games. The very first organised video gaming competition took place in October 1972 at Stanford University where students competed on a game called Spacewar, a highly rudimentary space shooter. The grand prize was a year’s subscription to Rolling Stone magazine which is clearly a far-cry from the million dollar prize pools on offer at the major eSports competitions of today. Skip forward to 1980 when Atari organised a Space Invaders tournament, which was the biggest event of its time with over 10,000 players participating. There was a major development in computer and connectivity technology in the 1990s when the internet first became available, and PC games saw a substantial growth in popularity. The availability of the internet marked the beginning of eSports as we know them today, and companies such as Nintendo sponsored video gaming world championships for a mixture of racing, combat, and sports games. The internet not only allowed for the further development of PC gaming, but also the rise of the first Australian betting sites which have not showed signs of slowing down since then. The Red Annihilation ‘Quake’ tournament in 1997 is widely considered to be the first true example of eSports and 2000 hopefuls entered the competition with their eyes set firmly on the prize: a second-hand Ferrari. Not only did the entire world believe that Y2K would see the end of life as we knew it, but the year 2000 also coincided with the rise of eSports. Both the World Cyber Games and the Electronic Sports World Cup launched in 2000, and Major League Gaming was first established in 2002 and remains the largest of the eSports leagues as well as the most generous when it comes to prize pools. Fuelled by ultra-fast broadband connections and wildly popular gaming centres, South Korea became the unofficial birthplace of eSports, and the first televised eSports tournaments also appeared in South Korea. To put the popularity of eSports in perspective with traditional sports, the online streaming of the 2012 MLG Spring Tournament exceeded 4 million viewers around the world, which beat the same years NBA All-Stars game in key demographics. 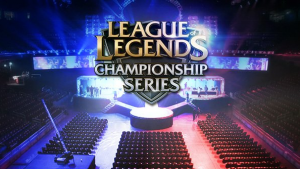 One of the most popular eSports is League Legends, a Multiplayer Online Battle Arena, which attracts massive numbers of spectators and the 2013 LoL World Championships sold out the Staples Centre – which has a capacity of 21,000 – with 41,000 people attending the following year’s event in Seoul. It becomes obvious that eSports have made their way into mainstream popularity when considering how many bookmakers, both online and land-based, have begun to offer wagers on eSports tournaments and events. You can place wagers on in-game events, outright winners, and point spreads, and steaming services such as Twitch allow millions of players around the world to follow their favourite players.